Previous sin() method is used to find out a trigonometric ratio sine of an angle in JAVA, measured in radians. sin() method exists in “Math” library of JAVA programming language. 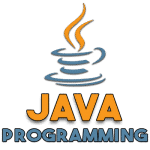 java.lang.Math.abs() method is used to find the absolute value of a long in Java for the given input (x – parameter) in Java. If the argument is not negative, the argument is returned. If the argument is negative, the negation of the argument is returned. Package abs() method exists in Math class of java.lang package….